Available to view on demand. Stemulate™ Pooled Human Platelet Lysate provides potential advantages over fetal bovine serum for the expansion of mesenchymal stem cells in 2D and 3D culture systems. The use of fetal bovine serum is likely to limit the scalability and cost-effectiveness of human mesenchymal stem cell manufacturing and therefore must be addressed. Stemulate TM (Pooled Human Platelet Lysate) has been proposed as a viable alternative due to several potentially advantageous characteristics during culture. This webinar will review the growth kinetics, characterization, estimated cost per dose and process transfer from monolayer to microcarrier culture of bone marrow and adipose-derived MSCs in FBS and Stemulate TM. Tom graduated with a master’s degree in Chemical Engineering from the University of Bath (UK) which included a yearlong internship as a process engineer in the research and development division at BP Chemicals in the UK. Following this, he went on to complete his PhD (sponsored by FUJIFILM Diosynth Biotechnologies) at Loughborough University as part of the Doctoral Training Centre in Regenerative Medicine. His PhD focuses on developing a process control strategy for the large-scale manufacture of adherent stem cells and has published a number of research papers and book chapters on stem cell manufacturing. He is currently working as a business development associate at PCT (a Caladrius Company) in New Jersey, USA. Brad King is the Director of Advanced Laboratory Products for Cook Regentec. The Laboratory Products Group provides tools to enable basic and clinical research in regenerative medicine, including Stemulate TM Pooled Human Platelet Lysate and CellSeal Closed-system Cryogenic Vals. Evonne R Fearnot holds a master’s degree in Biomedical Engineering from Purdue University, and two undergraduate degrees in Mechanical Engineering and Psychology, both from Cedarville University. Beginning in 2012, Evonne was employed by a Cook company (Cook General BioTechnology, LLC), with the responsibility for validation testing, and drafting domestic and international regulatory documents involving medical device containers for biological/cell-based products. Evonne presently holds a position at Cook General BioTechnology, LLC, as Global Product Manager, responsible for providing focus, guidance and long-term brand vision for the business unit and their products. Dr Henk Snyman is currently the Global Director of Medical Affairs for Cook Regentec, a subsidiary of Cook Medical, exclusively focused on Regenerative Medicine. He has over 20 years of clinical research and management experience in high-tech medical industries. Prior experiences include starting up the European headquarters for a molecular toxicology company, managing the European division for a cancer screening and instrumentation company, as well as leading biopharmaceutical subsidiaries with development laboratories. For the last 8 years he has been involved with adult stem cells, notably mesenchymal stem cells from adipose and BM tissue. Dr Snyman received his MD in South Africa and is a Fellow of the Royal College of Surgeons in the UK. Chris Taylor holds a Biomedical Engineering degree from the Purdue School of Engineering. He has been an employee of Cook Regentec for 3 years. Subject matter expert on Developed Cook Regentec's protocols and procedures for the manufacture of Stemulate TM. Steven Thompson has a research background in regenerative medicine, obtaining his PhD from the University of Liverpool in Stem Cells and Regenerative Medicine. He previously gained gene editing and RNAi experience with a leading life science company prior to undertaking his current role of Business Development Manager for Cell Therapy at Cook Regentec, where he is responsible for identifying and addressing problems related to regenerative medicine strategies. Dr Woods co-founded General BioTechnology LLC (GBT) in 1997, an R&D company devoted to advancing cell culture and cryopreservation to facilitate mainstream clinical use of cellular therapeutics. Dr Woods led the company from its inception through successful acquisition by Cook Medical in 2012. In his years of service, he has held administrative roles, ran a continuous research endeavor with numerous scientific grants awarded through the U.S. Department of Defense, the U.S. National Institutes of Health and the State of Indiana, and oversaw clinical laboratory operations as a board certified High Complexity Clinical Laboratory Director (HCLD). With GBT now fully integrated into Cook Regentec, Dr Woods focuses on innovation and early stage research/development. 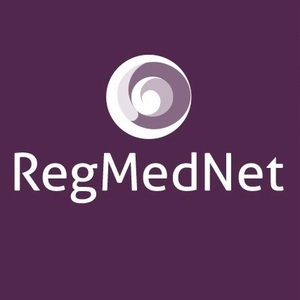 For a full list of other webinars available on RegMedNet please see here.